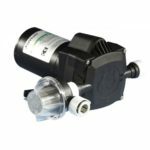 Do you need a new fresh water pump for your caravan or motorhome? With magnificent beauty taking many forms, The Coromandel is a 'must do' place to visit, rich with gold-mining history and stunning beaches. 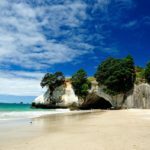 Whitianga and Whangamata are two favourite towns. 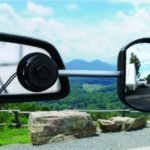 Towing mirrors are an essential item for many RV'ers and are worth investing in but it can still be difficult to decipher which towing mirror is best for your vehicle. Here's what you should be looking for in a towing mirror. 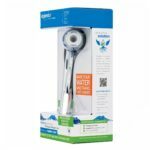 Conserve water and extend your free camping time with the Oxygenics Shower Head. This article is written by a customer. 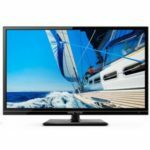 When buying a TV, there are many options to consider. A typical question we get asked is "Why should I buy a specialised caravan TV rather than a cheaper domestic TV?" 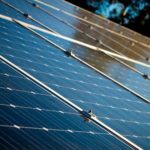 What is an Accumulator Tank and do I need one? 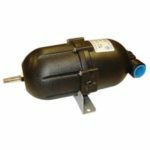 An accumulator tank is a water chamber which has a pre-pressurized internal air bladder. They are installed in the pressured side of your pump and dampen water pressure 'spikes'. 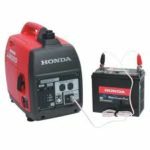 A handy way to charge a battery bank when you are free camping is to use a 230v generator. Trying to charge with the generator's built-in charger is almost a waste of time. There is a better way! A video demonstration shows the easiest way to replace a damaged freezer flap or the springs / housings which support it. 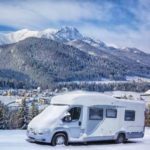 There are very few things in this world that can surpass the pleasure of entering a nice warm RV or boat in the middle of winter, when it's bitterly cold outside.